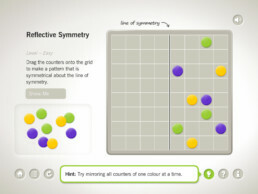 An award-winning, brain-twisting educational app, designed to encourage mathematical development in children. 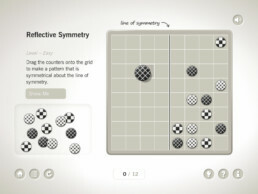 Symmetry School is an award-winning, brain-twisting game designed to support and encourage mathematical development in children. The intuitive learning experience allows children of varying abilities to learn through play, exploring hard-to-grasp concepts on their own terms and at their own pace. 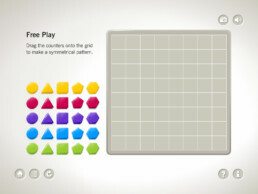 In the first week of launch, Symmetry School topped the Education iPad App Store charts in Ireland. 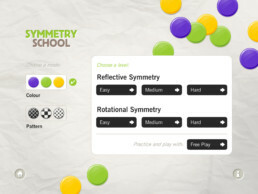 Symmetry School won Gold for ‘Best Children’s App’ and Silver for ‘Best Educational App’ at the Appys 2013, and was a semi-finalist in the ‘Experience for Children’ Category of UX Magazine’s International ‘Design for Experience’ Awards 2014. 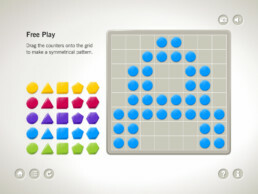 The iPad app has been nominated for numerous other awards and has been featured multiple times by Apple in handpicked App Store collections. 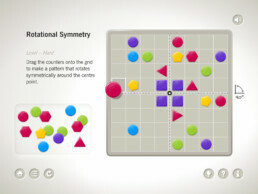 The makers of Symmetry School were invited by Apple Europe to an Apple Distinguished Educator Institute event to engage with 150 educators – leaders in their use of Apple technology in their classrooms – from Europe, Middle East and India. 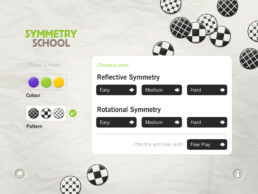 Symmetry School is available in 8 languages and is currently being used by kids and teachers in 84 countries across 6 continents. 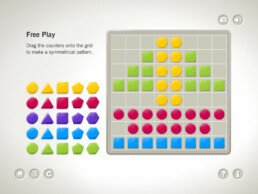 (1 of the) 50 Best Apps for Kids from 2013 that Parents can Trust. Digital wayfinding solution for one of the largest and most influential tech conferences in the world. Releasing our inner child with two playful new web presences for RTÉ Young People's Programming.